from Mohamed Fakih, Founder, Paramount Fine Foods. I immigrated to Canada from Lebanon fifteen years ago in search of a better life and opportunities. Throughout my journey I worked harder than ever before. I learned firsthand that there are no shortcuts to success. Do yourself a favour and politely ignore anyone who tells you otherwise. I worked, learned, saved, planned, and one day took the risk of my life: buying a bankrupt indebted Lebanese restaurant. In the first year I transformed that risk into an opportunity, by turning a loss into a profit and creating the flagship location for the future franchise. Today, Paramount Fine Foods is the fastest growing Middle Eastern halal restaurant chain in North America with 15 locations across Ontario, including catering and takeout, a new spin-off sandwich and shawarma QSR franchise called Fresh East, Paramount Butcher Shop and food factory, and the Yalla Foodtruck. I am thrilled to announce that we are set to open over 20 new locations this year including operations in Alberta, the USA and Middle East (yes, we are taking the Paramount shawarma back to its birthplace!) We are especially excited to be the first halal restaurant to open in the Toronto Pearson Airport (terminal 1 and 3) and Niagara Fallsview Casino! This all started with our award-winning shawarma. It was a personal goal of mine to change attitudes about the shawarma and make Lebanese food more accessible to the masses. Shawarma was once just a traditional Middle Eastern street food, but is now a mainstream staple meal, and one of our best sellers. Today we serve Canadians of all cultures traditional dishes like our ‘shish tawouk’ combo to fusion items like the ‘Philly steak Shawarma Pizza’. The Paramount team is working triple time to meet expansion demands, which was instigated by Franchisees tapping into the Foodie movement’s desire for authentic international cuisine and healthier food options. Paramount has succeeded in serving both needs while simultaneously catering to the rapidlygrowing Muslim community with halal diets. We are eternally grateful that Paramount has become the leader in the Middle Eastern and halal categories across North America. The response from people who want to join our team as Franchisees has been overwhelmingly humbling. We are currently wait-listing and vigorously growing our team to meet Franchisee demands. I am often asked of the “secret to Paramount’s success” and I usually say “hard work and quality control”, and it never seems to be the answer people are looking for. So I thought about it, and here are the ingredients to my secret sauce to running and growing “my baby” into the successful franchise it is today. 1. Consistency. From recipes to service, always ensure that it is to the highest quality standard, and can be repeated. The elements of your business that matter the most must be perfected then replicated in every interaction and in every location. Consistency is key in keeping customers coming back. 2. Do the math. We can get overly enthusiastic when we see success. Sometimes we get lucky, so before jumping to expansion, it is pivotal to make sure that the numbers make sense. To ensure that Franchisees will be successful, understand the numbers so that you can replicate the success in every location. 3. The right people. Your team can make or break you, and that includes Franchisees and employees. Protect your Franchise and Investors by carefully selecting the right candidates rather than taking the aggressive growth route. Not everyone is the right fit to operate a franchise or work in the food business, even though they want the opportunity or can afford it. Maintain a rigorous selection process and stick to it to ensure all parties are protected. 4. Hire the Expert. You don’t know everything, and there is no place for ego where you lack knowledge. It is important to surround yourself with people who bring the right talent to fill your weaknesses. Hiring my Franchise Mentor was one of the best decisions I ever made. His experience and skil lset ensured pitfalls and mistakes were minimized. have the skillset before they train their employees. Teach them how to drive before they get on the road. This is so important because you need to lay the foundation correctly. 6. Last, but most important, everybody must win. Everybody wants to make money and realize a life’s goal. It is important that Franchisees don’t feel gouged. By making less as a Franchisor in the short-term, you will make more in the long term. 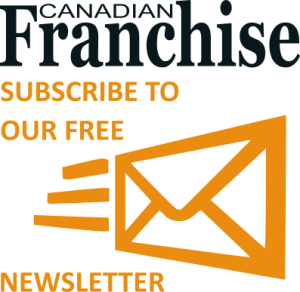 When a Franchisee is happy and making money, they will want to open additional locations, and uphold the highest quality standards, and that translates into a winwin- win – for the customer, Franchisee and Franchisor. And word of mouth is best form of advertising! sources only the freshest products for its authentic recipes. All restaurants have been certified halal by the ISNA Halal Certification Agency and HMA. Paramount employs over 800 staff members within 15 restaurant locations in Southern Ontario, a gourmet butcher shop, a food factory, a food truck and the new Fresh East franchise. Opening soon: Yorkville, Brampton,Hearland, Erin Mills, Woodbridge, Ottawa, Edmonton, Orlando, Dubai.